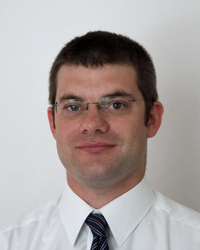 Dr Philip Harrison (BEng MA PhD MIOA) is a forensic consultant and company director, specialising in the areas of acoustics, phonetics and the analysis of evidential recordings. He has worked at J P French Associates since 1997 and has expertise in authentication, enhancement, transcription and speaker comparison. He is also active in carrying out research in the fields of forensic speech and audio analysis: in the efficacy of acoustic analysis software, measuring the performance of biometric systems and evaluating methods for expressing the strength of forensic speech evidence. He is playing a key role in developing quality standards in the field in conjunction with the Forensic Science Regulator. Dr Harrison has over 20 years of forensic experience and has worked on over 1000 cases in the field. He has been involved in high-profile cases from a range of countries including Eire, Ghana, Gibraltar, Hong Kong, New Zealand, Pakistan, Uganda and Ukraine. He has given evidence in the Court of Appeal (Criminal), Crown Courts in England, the Sindh High Court, Karachi (removed to England to hear expert evidence) and the High Court in Accra, Ghana. He has worked on cases heard by the International War Crimes Tribunal and the Bloody Sunday Inquiry. Dr Harrison has presented and published widely in the field, reporting on cases, assessment of forensic systems and tools and on how expert evidence should be presented. A range of his publications and presentations are listed in his CV. His MA dissertation titled Variability of Formant Measurements is available to download. Dr Harrison’s PhD thesis titled Making accurate formant measurements: an empirical investigation of the influence of the measurement tool, analysis settings and speaker on formant measurements can be downloaded too. As well as teaching on the MSc in Forensic Speech Science, Philip Harrison has delivered training in the UK, the United States and Turkey.